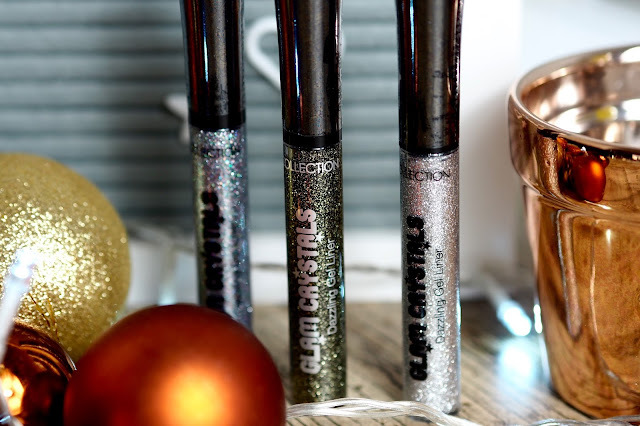 If you can’t wear glitter at Christmas, when can you!? 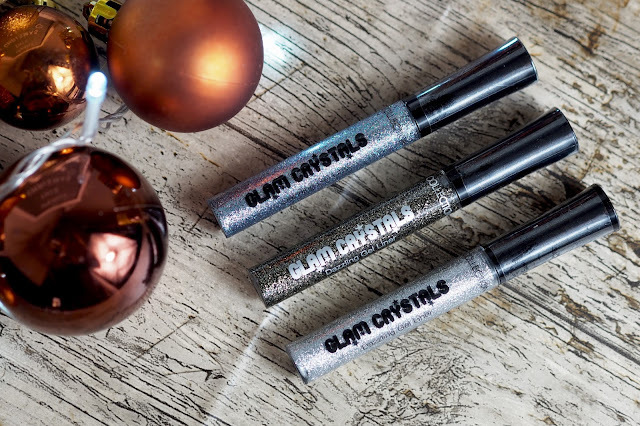 I was looking for some glitter liners but didn’t want to pay £15+ for one and so I grabbed these Glam Crystals Glitter Liners from Collection from Boots a few weeks ago now after someone recommended them to me and I can’t believe how much I love them! Plus... they’re only £2.99!! I love playing around with makeup at the moment, you may have seen a few of my different looks over on my Instragram and these glitters always find their way onto my eyes in some kind of way. They’re so easy to use as the tip of the brush is fine enough to draw fine liner or you can use another tiny detail brush if you want to be really precise but I manage most of the time with the applicator. 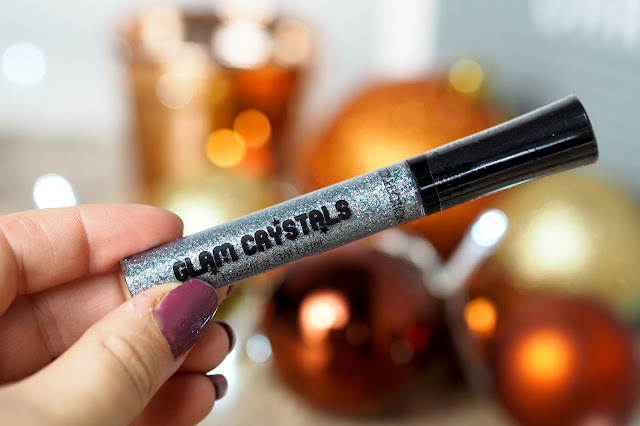 The pigment of the glitter is great too, for £2.99 I didn't expect absolute amazing glitter but the colours are amazing! The multi-toned glitter has to be my favourite as it goes with most looks and colours but the black and gold is great to add a little something extra to smokey eyes and the silver is the perfect addition to a party look! I’ve tried and tested all 3 of these and they all last equally as well as the other, no creasing, breaking or smudging, just be sure to let it dry before you move your eyes again - there are coloured versions of these available but I don’t think I’d get as much use of them as I do with these but if you’re into colour then definitely check them out. I used the Multi-toned Glitter for the above look with a little bit of the silver mixed in and my eyeshadow was a Splurge Cream Eyeshadow from Younique (brand new!) with Lashes from Ardell (read the review here). If you’re looking for a similar thing, I can definitely recommend getting these! If you catch them whilst Boots have a 3 for 2 on offer, you can get 3 of them for under £6.00!! 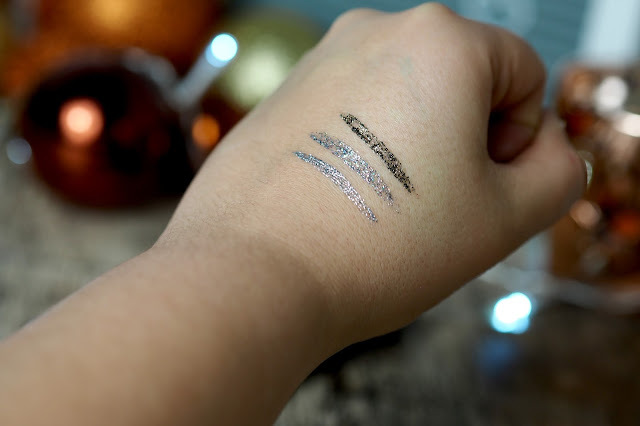 You can see how pigmented they are from these swatches here and that the black and gold is a little patchy - I think this is because of the black glitter gel thats used, whereas the others have a silver based gel and so you can’t notice it as much. Like I said, they’re all just as good as each other and you can build them easily too. They don’t break off your eyes and they will literally stay on all day! Below, I used the Black and Gold with a soft brown shadow out of the Morphe 35F palette and with my Unicorn Lashes in Bubble Pop (read the review here). 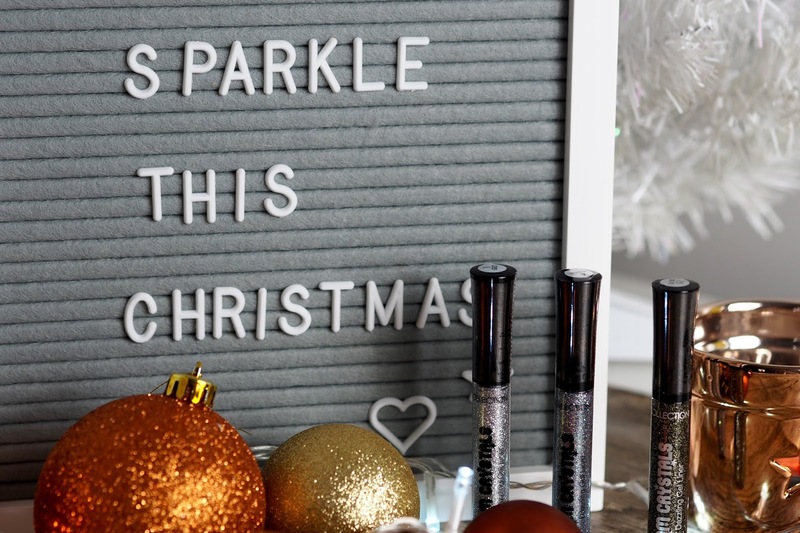 I hope you will be using Glitter to Sparkle this Christmas and if you do, take a picture and tag me! I’d love to see!